An exceptional starter home combining a unique synergy of volume & natural light with home entertaining at its core. 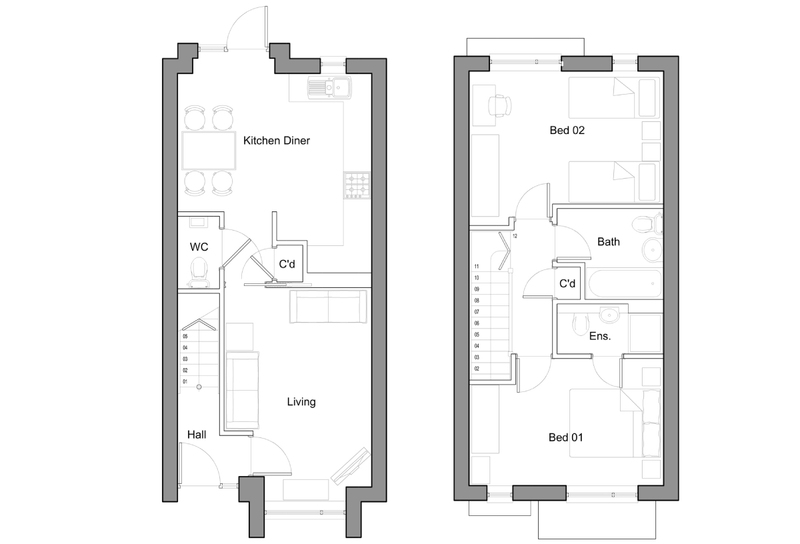 860 sq ft of living space provides spacious 2 bedroom, 2 bathroom accommodation of the highest order. Economical to run & maintain, making this the ideal FTB or Buy to Let investment, with a low maintenance garden.